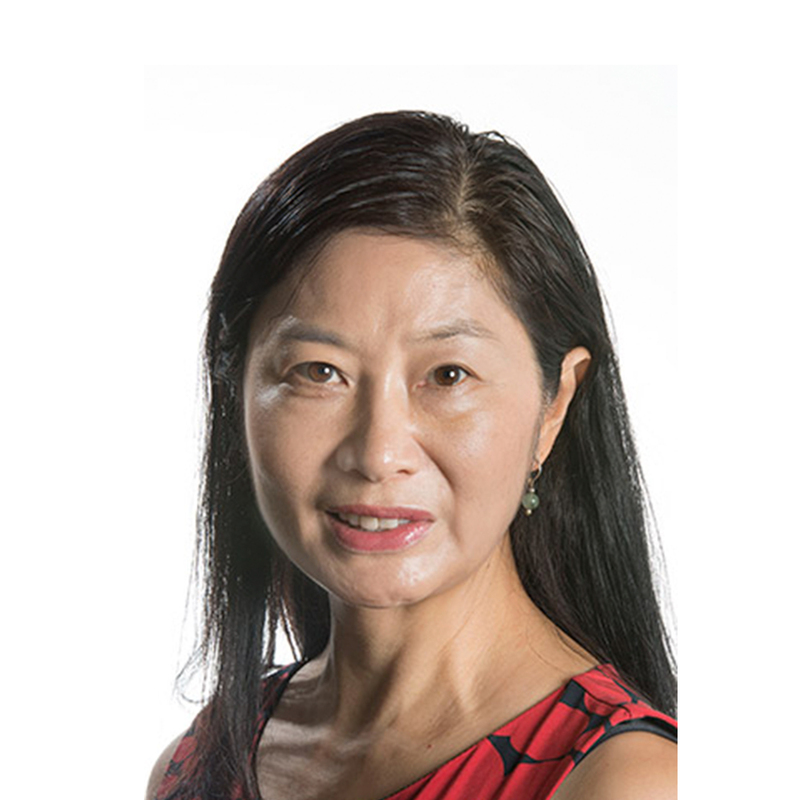 Janet Ge is a senior academic and research specialist in learning and teaching property programs that focus on the housing sector. Janet’s main research covers housing affordability, housing market and house prices, property development finance and property investment with over seventy refereed papers and book chapters published. Two of the papers received ‘Highly Commended Award’ in 2012 and ‘Most Innovative Paper Award’ respectively from the Pacific Rim Real estate Society Conferences. Her doctoral research explored the use of multiple regression analysis and recurrent neural network methods to establish forecasting models for estimating private housing prices in Hong Kong. She also applied cusp catastrophe theory to develop a generic system for predicting discontinuous changes in housing prices and their effects under different housing policies. The thesis received the Excellent Building Research Postgraduate Award from CIOB Australia, and a Chapter Medal as well as the Professional Excellence Awards (PEA) for the Outstanding Graduate of the Doctor of Philosophy (Building) Program from AIB in 2005. Janet lectures in property investment and valuation to undergraduates and property development finance to postgraduates in the School of the Built Environment. She is also a Category 1 UTS Research Supervisor and has supervised one PhD to completion. This paper aims to investigate the factors that contribute to the changes of house prices including ethnic factors. Australia is a multicultural country with diversified ethnicities. The median price of established houses (unstratified) in Sydney has reached a new record high of $910,000 in December 2015, increasing around 58.2 per cent from March 2011 [Australian Bureau of Statistics (ABS), 2015a]. However, the prices of some suburbs have increased more than prices of others. Six suburbs that represent ethnic majority originally including White, India and China will be selected as pilot studies. Hedonic regression analysis will be applied for the analysis based on 2001, 2006 and 2011 census data. It is found that the main drivers of house prices are the dwelling physical characteristics and accessibility to convenient transportation. The level of household income also plays an important role. However, the impact of changes of ethnic on changes of prices is not significant. The study adds to the growing literature on the ethnicity changes on dwelling prices and is important for understanding whether some of the clusters of ethnic concentration or segregation effects property markets. This study is significant in its understanding of the main characteristics of ethnic changes of suburbs in Sydney. An implication is that policy makers can attract different ethnic groups and encourage multicultural communities when they formulate housing and planning policies. The relationship between ethnicity and house price appreciation is not extensively studied in Australia. This research contributes to the literature on the effects of ethnic changes on house prices and implications of policy formulation to encourage multicultural communities. © 2018 Elsevier B.V. Research into digital technology (DT) in construction practices has gained widespread attention. While the application of different DTs in facility management (FM) has been growing, to date, there is no holistic review of the various DT developments and research into FM. A total of 120 academic journal papers, conference proceedings and other technical notes published on the subject, mainly between 2004 and 2017, were reviewed in this paper. The applications of various major DTs, including 1) building information modelling (BIM), 2) reality capture technology (including 3D laser scanning, point cloud), 3) the Internet of Things (IoT) (including radio frequency identification (RFID) and sensor network technologies) and 4) geographic information system (GIS), were reviewed and scrutinised. The review identified a number of possibilities for future research into DT in FM, including, enhancing the interoperability of data, improving the accuracy of point cloud data for developing as-built models for existing facilities, and generating effective BIM/GIS asset database integration. It is hoped that this review and the future directions highlighted in this paper will assist researchers in identifying the areas where further research efforts are most required and in identifying which future directions would be most helpful for digital FM research. to identify and measure recyclable materials, as well as to develop a plan for the recycling process. While building information modelling (BIM) has been extensively applied to the design and construction stages, there has been only limited use of BIM for demolition or reconstruction phase in minimizing and managing demolition waste. This paper proposes the use of combined BIM and 3D point cloud technology for collecting and documenting of building material information and formulating strategies of deconstruction waste management. The purpose is to develop a methodology for improving accuracy of building material information, including information of reusability and recyclability; and reduce the cost of energy and environmental impacts. A building deconstruction project in Sydney was adopted in this paper and found an estimated total of AUD$1.5 million landfill levy can be saved based on the proposed methodology. Purchasing a family home is the most important decision to make. Feng Shui is an important element to be considered in purchasing real estate property for many Chinese families. The concepts of Feng Shui has been gradually adopted and accepted in the western world. It has been found that, in many perspectives, there are similarities between the concepts of traditional Chinese Feng Shui where harmony between environment, buildings and people are created; and western style of sustainability that focuses the harmonious relationship between human and nature. This paper reviews the Feng Shui elements considered by Chinese families and explores the main features considered by the Western families when purchasing a home. Through case studies in Sydney, the findings will be compared and the elements that are similar or different will be discussed. The Australian carbon pricing scheme (carbon tax) was introduced and became effective on 01 July 2012. The introduction of the carbon tax immediately increases the cost of electricity to a number of industries such as manufacturing and construction. Households were also affected as a result of these costs been passed through the supply chain of the affected industries. The carbon tax policy was introduced to addresses greenhouse emissions and energy consumption in Australia. However, the carbon tax policy may have introduced a number of economic risk factors to the Australian housing market, in particular the impact of housing affordability. Ge, J 2010, 'An Alternative Financing Method for Affordable Housing', Housing Finance International, vol. XXIV, no. 3, pp. 34-38. This paper provides a financing model improving housing affordability using superannuation funds. The model has shown that the low-moderate income families can afford their down payment to access home ownership and the capability of monthly payment increases by 60%. The results suggest that the model has improved families' affordability for housing both by reducing the number of years to accumulate the down payment and the monthly mortgages. The model is sustainable because the housing value is expected to increase in a long-term investment. This paper develops house price forecasting models using MRA in order to analyse the main determinants of house prices in the New Zealand market. Quarterly time series data fro the period from March 1980 to December 2007 were collected from the Department of Statistics and the Reserve Bank New Zealand for the model development. The estimated model suggests that house prices will fall after 2007 and will continue to fall in 2008 and 2009, and that migration plays an important role in determining house price fluctuation. Investment expectations, unemployment, mortgage rate and building permits are also the main determinants of price variations. Australian dwelling prices have increased substantially since the early 1990s, making housing less affordable for many potential home buyers. This study aims to identify the main determinant factors that drove the dwelling prices upwards in Sydney from 1992 to 2006. The findings suggest that real household income, dwelling completions, speculative investment and real interest rate are the main variables influencing the increase of dwelling prices in Sydney. Amongst the findings is that there is a need for policy makers to improve the supply of dwellings to accommodate the growing demand of housing in Sydney. Ge, J, Lam, K & Cheung, SO 2004, 'Virtual Soil Laboratory: An exemplar of e-learning in construction', International Journal of IT in Architecture, engineering and Construction, vol. 2, no. 1, pp. 61-71. Web-based teaching and learning have become increasingly popular, both for institutional and personal lifelong learning. Learning through the web enables students to structure their pace of study. In addition, the demand on resources such as educators? time and space can be reduced. The objective of the paper is to describe learning theory and how people learn through a constructivist approach. The paper also describes the development of a web based virtual soil laboratory and its realization, followed by highlighting the benefits of the system. It is concluded that the virtual laboratory is a supportive teaching aid and students have benefit from "learn how to learn" through constructivist approach of learning. This paper develops a forecasting model of residential property prices for Hong Kong using an artificial neural network approach. Quarterly time-series data are applied for testing and the empirical results suggest that property price index, lagged one period, rental index, and the number of agreements for sales and purchases of units are the major determinants of the residential property price performance in Hong Kong. The results also suggest that the neural network methodology has the ability to learn, generalize, and converge time series. The purpose of building a house prices forecasting model is to estimate the impact of housing demand and housing supply in Hong Kong. The property market plays a very important role in the economy of Hong Kong. The real estate sector contributed approximately 10.2 per cent of GOP in 1996 (Hong Kong Government, 1998). More than 45 per cent of all bank loans, over HK$500 billion as at the end of 1997, were directly tied to properties (Hong Kong Government, 1998). Income from land auctions, rates and stamp duties accounted for approximately 24 per cent of total Government revenue in 1997/1998 (Chan, et al., 2001). Property and construction company stocks contributed 25 per cent to Hong Kong's stock market capitalization as well as to over 60 per cent of capital investment expenditures (Newell and Chau, 1996). Smooth changes in house prices thus help to maintain stable economic growth in Hong Kong. To achieve a stable house price level, housing supply must match the demand for houses. However, house prices have at ti mes been very volatile as a result of mismatched housing demand and supply in Hong Kong. This chapter outlines both the Feng Shui and Western concepts and practice for built environment analysis, and then compares Feng Shui model with Western contemporary models using three residential apartments as case studies. using inductive-deductive reasoning methodology based on the property right and landrent theories. We have found that local government land adjustment charges on the transactions of rural construction land are suggested to be from 16 to 20 percent. The share ownership quantification model (SOQM) of land incremental value allocation between the collective economic organizations and members is effective and beneficial to the development of the rural collective economy and its members. High-quality 3D reconstruction of large-scale indoor scene is the key to combine Simultaneous Localization And Mapping (SLAM) with other applications, such as building inspection and construction monitoring. However, the requirement of global consistency brings challenges to both localization and mapping. In particular, significant localization and mapping error can happen when standard SLAM techniques are used when dealing with the area of featureless walls and roofs. This paper proposed a novel framework aiming to reconstruct a high-quality, globally consistent 3D model for indoor environments using only a RGB-D sensor. We first introduce the sparse and dense feature constraints in the local bundle adjustment. Then, the planar constraints are incorporated in the global bundle adjustment. We fuse the point clouds in a truncated signed distance function volume, from which the high quality mesh can be extracted. Our framework leads to a comprehensive 3D scanning solution for indoor scene, enabling high-quality results and potential applications in building information system. The video of 3D models reconstructed by the method proposed in this paper is available at https://youtu.be/DWMP4YfeNeY. Ge, X 2016, 'Ethnic changes and house prices in Sydney suburbs', The proceedings of the 2016 Asian Real Estate Society's (AsRES) Conference, The 2016 Asian Real Estate Society's (AsRES) Conference, Indian Institute of Management Bangalore, Bengaluru, pp. 1-12. Australia is a multicultural country with diversified ethnicities. The median price of established houses (unstratified) in Sydney has reached a new record high of $910,000 in December 2015, increasing around 58.2 per cent from March 2011 (ABS, 2015a). However, the prices of some suburbs have increased more than prices of others. This research investigates the factors that contribute to the changes of house prices including ethnic factors. Six suburbs that represent ethnic majority originally including White, India and China will be selected as pilot studies. Hedonic regression analysis will be applied for the analysis based on 2001, 2006 and 2011 census data. This study is significant in its understanding of the main characteristics of ethnic changes of suburbs in Sydney. The paper will first investigate the shifts of ethnic changes in the suburbs of Sydney and then compare the main characteristics amongst the studied suburbs. The relationship between changes of ethnic profile and dwelling prices will be analysed. Ge, X, MacDonald, H & Ghosh, S 2016, 'Accessibility and dwelling prices: a pilot study of the Epping-Chatswood rail link', Proceedings of the 2016 Asian Real Estate Society's (AsRES) Conference, The 2016 Asian Real Estate Society's (AsRES) Conference, Indian Institute of Management Bangalore, Bengaluru India, pp. 1-13. Location is one of the important elements to be considered in the dwelling purchase decision-making process. If a property is close to work opportunities, shopping centres, schools and other facilities, the property is likely to be in high demand and thus command a higher price than properties further away. Infrastructure investments improve accessibility by saving time and costs for people to travel for work and other activities. The proximity to transport thus is one of the factors contributing the purchasing decision. Relative little research has done on infrastructure investment on property value in Australia. The Epping-Chatswood rail link was developed in Nov 2002 to Dec 2009. As a consequence, the dwelling prices along the link have increased dramatically. This paper conducts a pilot study to investigate the relationships of dwelling prices surrounding Epping station and the link development. Epping station is one of the stations along the Epping-Chatswood link. The station is located in a suburb of Sydney about 21.6 kilometres north-west of the Sydney CBD. A total of 1,474 sale transaction prices from January 1991 to July 2012 were collected from RPData for this study. Each of the data sets includes transaction price, number of beds, bathrooms, garage or car spaces and living rooms, which represent the physical characteristics as explanatory variables entering the hedonic model. An accessibility factor is measured by the direct distance of a dwelling to the Epping station. The estimated results indicate that, in addition to the dwelling's physical characteristics such as number of bedrooms, bathrooms and car spaces, accessibility ranks relatively low among the factors that explain variations in dwelling prices in the Epping area. Ge, X & Yu, SJ 2016, 'Equity finance for small developments in tightening lending environment in Australia', Proceedings of the 2016 Asian Real Estate Society's (AsRES) Conference, The 2016 Asian Real Estate Society's (AsRES) Conference, Indian Institute of Management Bangalore, Bengaluru India, pp. 1-12. Australian property market has seen soaring house prices and unprecedented growth over the past few years. Major banks however have shown concerns over a housing price bubble and have started tightening lending criteria and raising interest rates for property development projects. Hence, securing funding for site acquisition and construction has been one of the major risks and challenges for small property developers in Australia. This paper investigates an alternative funding structure for small Australian property developers for them to sustain and grow under a challenging lending environment. This research contributes to the body of knowledge in the field as it provides an innovative and alternative approach for property development financing. This paper starts with investigating traditional funding structures for small residential property development and dissects the major risks arising from different stages. An alternative funding structure will then be proposed to enable developers to access more external funding by way of debt or equity if required when senior debt level is suppressed due to tightening of lending criteria and policies. A comparative analysis using DCF models will also be undertaken to demonstrate the benefits of the proposed funding structure. The findings suggest that equity finance reduces risks in a tightening lending environment while maintaining adequate investment returns. China's outbound direct investment (ODI) has soared rapidly in the last decade. Australia is one of the most attractive investment destinations in China's ODI profile. Recent years, China's ODI has shifted from natural resources in energy and mining sectors to real estate, technology, agribusiness, finance and health care sectors. This paper investigates the main determinants of China's ODI in Australian commercial properties, which have aroused little attention in previous studies. Quarterly data sets from June 2002 to March 2015, measured by Australian dollars, of China's ODI on commercial properties in Australia are used for the testing. The estimated results suggest that investment return and lending rate are the main determinants. Residential property prices have been increasing rapidly in recent years in Australia. The national stratified median house prices reached to A$701,827 in June quarter 2015 . This paper examines the impacts of Australian migration on house prices for the period of March 1981 – June 2014. The relationships between house prices and immigration are estimated through a single error correction model (ECM). The estimated results suggest that net overseas migration contributed to house price appreciation in Australia. However, employment and supply factors also played major roles. Problem/Purpose: Accessibility to transport infrastructure is one of the factors that affects property value. A number of researchers have found positive and negative effects on how improvement in public transportation has on property value (Chau and Ng, 1998). In Taiwan, little research has been carried out in this area. This research seeks to contribute to the understanding of the effect of rail accessibility on property value. Specifically, this study investigates the impact on property value located in close proximity to Zuoying station in Taiwan. Hedonic price theory is used and 5,478 data sets including property transaction prices, house or unit size; distances to the rail station, amenities, parklands and main roads were used for the testing. Before and after the commencement of the rail systems has also been considered in this study. Design/methodology/approach: Hedonic analysis is a well-established technique that is applied in this study. Findings: The estimation results suggest that accessibility to train station is one of the important factors affecting property values. It is found that the shorter distance and easier access the rail station, the higher the property values. Research limitations/implications (if applicable): This research has considered the elements of before and after the opening of the Taiwan High Speed Rail (THSR) and Kaohsiung Mass Rapid Transit (KMRT). However, a comparison study on the effects of before and after the completed rail development is not included in this study. Originality/value: No study has been conducted in the past on Zuoying station in the area of rail accessibility and property values. This is the only rail station in southern Taiwan where three railway systems converge. The investment of new transport infrastructure has positive impact on the land values in the locality and the economic and social aspects of the built environment. Ge, X & Mak, M 2016, 'A study of modern sustainable buildings in Sydney from the Feng Shui perspective', Proceedings of 22nd Annual Pacific Rim Real Estate Society Conference, Pacific Rim Real Estate Conference, PRRES Inc. 2016, Sunshine Coast, QLD Australia, pp. 1-10. The interaction between humans and the environment is an everyday process. In western contemporary architecture, these interactions with the natural and man-made environment are called sustainable design. The fundamental concept of modern sustainable building emphasizes on a holistic approach to reduce negative environmental impact of man-made structure, and this is coincided with the ancient Chinese knowledge of Feng Shui that aims to creating harmony between heaven, earth and human. Previous studies have already indicated that there are many similarities between ecological sustainable design and principles and practice of Feng Shui. The purpose of this paper is to explore these similarities in a systematic manner. This is an empirical study of 31 Green Star rated modern sustainable buildings in Sydney. Their sustainability concepts and characteristics will be compared with the theories and applications of Feng Shui knowledge. This study finds that the higher Green Star rated of sustainable office buildings achieved higher similarities with Feng Shui concepts. Although this study has only considered modern sustainable office buildings in Sydney, it will provide directions for future studies of national and international sustainable buildings. The results of this study will provide a framework for Feng Shui concepts to be considered and applied into the modern sustainable buildings that will enhance the effectiveness of sustainable development. The re-interpretation of Feng Shui knowledge will embrace the effectiveness of sustainable development. This cross-cultural study expanded the boundary of the built environment research from east and west philosophies. Purpose – This paper aims to study the main determinants of house price increase in Sydney using quarterly data for the period of March 1994 to June 2014. The paper examines whether variables such as population growth, family income, mortgage rate and supply factors that contribute to the changes of Sydney house prices. Design/methodology/approach - The paper uses reduced-form equation for house price function derived on the supply and demand functions for owner-occupied housing (DiPasquale and Wheaton, 1994). Multiple regression analysis is applied to derive the significant variables effect on house prices. Collected time series variables are tested stationary using Augmented Dickey-Fuller test. Findings – Statistical results suggest that the lack of house supply, mortgage rate, and net overseas migration are the main attributes of house price appreciation in Sydney. House prices are largely affected by the price movements from the previous periods. Multiple regression analysis is one of the methods to test causal relationship of house prices with other variables. Research limitations/implications – There are limitations using multiple regression analysis (MRA) One of the difficulties of using MRA is to handle problems with multicollinearity and non-linearity among variables. It is worthwhile to try Vector Autoregressive (VAR) or nonlinear models that may help to solve the problem of building in regression statistics. Practical implications - The findings would suggest that measures to increase of housing supply may help to prevent house price bubble. Originality/value – The research updates the investigation of house price determinants and tests the using of MRA method on the nonlinear variables. Recent debates have been focusing on whether there is a housing-price bubble in Sydney. The Median Multiple (median house price divided by gross annual median household income) for Sydney is nine times, compared to 6.2 times in New York and 7.3 times in London (Demographia, 2014). The median price of an established home in Sydney has now reached $811,837, i.e., 17 per cent increase in the year to June 2014 (APM, 2014). A US economist and demographer (Dent, 2014), predicts that Australia's property prices could drop by as much as 50 percent in the coming years. In contrast, others believe that the Sydney housing price will not fall dramatically. Real estate markets play an important role in the overall economy. The unsustainable housing prices greatly impact on the banking industry, distort consumer confidence and induce collapse or instability into the normal economic activities. Changes in housing prices are caused by the fundamental factors of demand and supply. An unsustainable bubble exists when 'fundamental' factors do not seem to be justified; i.e., the high prices today are caused by investors who believe that the selling price is higher tomorrow. This research analyses the Sydney housing price performances over the last ten years and compares the local rentals and income to detect indicators which lead to overheating in the housing market. The analysis will contribute to the prediction of house price trends for the future and assist government to formulate relevant housing policies. Residential dwelling prices have been increasing over the last few decades in Australia. Many empirical researches have demonstrated that population and demographics are the main factors of contributing to upward trend of dwelling prices. In Australia, migration plays an important role in the nation's population growth and economic development. The Australian government currently receives overseas migrants from countries around the world every year on different schemes such as skilful migration, family reunion and so on. On average there are around 200,000 overseas migrants settling as permanent residents in Australia according to the migration data provided by the Australian Department of Immigration. This paper studies how new migrants contribute to demand shock and how much impact they have on the residential dwellings market. Yearly time series data will be collected from the Australian Bureau of Statistics and Australian Department of Immigration. Statistical models will be derived using the changes of dwelling prices as the dependent variables; and net migration, changes of household income and dwelling supplies as the independent variables. The research is considered important as it addresses the economic fundamental of demand and supply issues. The research findings also help to validate the Australian migration policies. Residential dwelling prices have increased greatly in recent years, to the level that many households are not able to access homeownership. Though there are government schemes, such as the First Home Owner Grant (FHOG) scheme, available to assist the first home buyers to access the homeownership, the number of FHOG applications has declined since 2012. This study investigates the attributes of the first home buyers' decisions on entering homeownership. The paper starts with discussions on the characteristics of first home buyers, the types of FHOG assistances available in the market, and reviewing attributes that affect purchase decisions. Quarterly data such as interest rate, dwelling prices, government schemes, etc. were included for the development of a statistical model and the analysis. The results indicate that the FHOG contributes to the increased demand for dwellings. A negative correlation between the number of applicants of the first home buyers and the dwelling prices was found. In the early and mid - 2000s, the development of land reserve system promoted a structural change in residential land market in urban China, and the municipal government has become the sole supplier of urban residential land after the structural change. This paper examines the impact that direct government control over residential land supply has on real estate markets in major Chinese cities. It is found that there is a significant decrease in land supply after the establishment of direct government control over residential land supply, and the decrease in land supply has put downward pressure on new housing supply. It is also found that there is a decline in the price elasticity of new housing supply in the period characterized by more restrictive land supply. This paper investigates the impact of government land supply on new residential construction. By estimating a housing supply equation using a panel data set covering 35 major Chinese cities for the period of 1999 to 2010, it is found that the quantity of the land sold by the government is tightly associated with the number of housing starts. Two -or three - year lag of land sales has a larger impact on new construction than one- year lag , which is consistent with the fact that there is normally a two- to three-year interval between the date of land transaction and the date when construction is initiated. It is also found that the decrease in land sales accounts for a large proportion of the decrease in new construction in Beijing, Shanghai and Shenzhen. The estimates of city -specific supply elasticities are provided based on the housing supply model, it is found that housing price appreciation tends to be more considerable in cities with inelastic supply. Feng Shui is an important element to be considered for purchasing real estate property for many Chinese families. The concepts of Feng Shui has been gradually adopted and accepted in the western world. It has been found that, in many perspectives, there are similarities between the concepts of traditional Chinese Feng Shui where harmony between environment, buildings and people are created; and western style of sustainability that focuses the harmonious relationship between human and nature. This paper reviews the Feng Shui elements considered by Chinese families and explores the main features considered by the Western families when purchasing a home. The results will be used as criteria for developing significant factors in future empirical study. Through case studies in Sydney, the findings will be compared and the elements that are similar or different will be discussed. The implications of the research will also be investigated. Many assessment systems have been introduced to measure the environmental sustainability of buildings that aim to reduce energy consumption and carbon emissions over the last decade. Examples are the BRE Environmental Assessment Method (BREEAM) in the UK, Leadership in Energy and Environmental Design (LEED) in the US and Canada, the Green Star and Building Sustainability Index (BASIX) in Australia, and the Building Environmental Assessment Method (BEAM) Plus in Hong Kong. Some of the systems, such as BASIX, apply a mandatory approach for implementation; others, such as BEAM Plus, are voluntary with incentives. This paper aims to compare the difference between BASIX and BEAM Plus and discuss their different approaches to building sustainability. The comparison is important because it would then be possible to evaluate the implications of the environmental assessment policy tools in which two different approaches are used. The paper will first study and compare both the BASIX and BEAM Plus assessment systems. Second, the advantages and pitfalls of the mandatory and voluntary approaches will be identified and discussed. The paper is based on desk research. The impacts of the environmental policy tools, determined through case studies that will be conducted, should reveal if a voluntary-with-incentives approach is the stronger motivation for the building industry to improve its environmental performance. As house prices become increasingly unaffordable, many families turn to rental housing. However, the higher rent in some market places is placing a lot of families under stress, in particular the low-income families. Thus, many housing policies and strategies have been introduced by governments to support low-income families in improving their housing affordability. The national rental affordability scheme (NRAS) in Australia is such example. The scheme aims to increase supply of affordable rental housing for low-income families. The NRAS provides an annual tax-free incentive for investors to purchase new affordable dwellings and rent them at 20% below market rents to low-income families. This paper studies of the NRAS scheme and investigates the impacts of using the scheme for improving affordable rental housing. The paper will first study the NRAS structure and the performance since the policy introduced. Secondly, the impacts of the scheme will be investigated through case studies to establish whether the incentive provides a stronger influence on private investors in encouraging them to provide affordable rental housing for low-income families. Many Australian families are unable to access homeownership. This is because house prices are very high to the severely or seriously unaffordable level. Therefore, many low income families will need to rely on affordable rental housing supply. The Australian governments introduced National Rental Affordability Scheme (NRAS) in July 2008. The scheme aims to increase the supply of affordable rental housing by 50,000 dwellings across Australia by June 2014. It provides financial incentive for investors to purchase new affordable housing that must be rented at a minimum of 20% below the market rent. The scheme has been in place for four years to June 2012. There are debates on the success or failure of the scheme. One argues that the scheme is more successful in Queensland but it failed to meet its aims in NSW. This paper examines NRAS incentive designed to encourage affordable housing supply in Australia and demonstrates reasons for developing properties that are crowded in areas where the land prices are relatively lower in the NSW using a discounted cash flow analysis in a hypothetical case study. The findings suggest that the high land values and the increasing cost of development were the main constraints of implementing the scheme in the NSW and government should not provide a flat rate subsidy which is inadequate to ensure that affordable housing projects in high cost areas. Heritage buildings preservation has become a major concern in our society. In the past, hundreds of heritage buildings were demolished due to high cost of adapting for new uses. The preservation of old historic buildings is in fact crucial as it not only represents our cultural identity and continuity, but also create environmental benefits. Many of researches in the past emphasized the importance of environmental assessment methods to improve the environmental performance and building quality. Yet, for gauging heritage sustainability, the environmental assessment methods alone are insufficient. The social and economic aspects also play a role in heritage preservation. The heritage sustainability should thus embrace three pillars of sustainability, namely environmental, social and economic. This study attempts to develop a set of sustainability indicators like agro-ecosystems, bio-energy systems, corporate systems and urban sustainability. However, its evolution in the heritage sector has been relatively slow. Heritage needs its own tailor-made indicators. Based on the concept of sustainability, a multi-criteria assessment method and a set of indicators are developed to determine the level of sustainability of heritage buildings. A heritage building in Hong Kong will be selected as our case study to test the indicators. The outcomes will serve as a useful tool for policy making and assist government bodies in assessing the performance of heritage buildings with regard to the embedded objectives of building sustainability. Surrounded by high-rise buildings, some two-storey buildings with black roofs are sited along the Xiaohe (Little River) in the north of Hangzhou, China. The buildings were originally built in the late Qing Dynasty (late 19th century) and restored in 2007 by the Hangzhou municipal government. The architectural materials used in the buildings are mainly concrete for the ground floor and timber to the first floor. Three buildings located at Xiaohe Historical Street were investigated to establish whether traditional buildings performed as well as modern buildings. Hourly temperature and humidity readings from September 2009 to August 2010 were recorded for the selected houses. It was concluded through comparisons that the restored heritage buildings provided similar thermal comfort and conditions to modern buildings. Rail investments alter the accessibility and amenity of residential properties, and thus affect housing prices and overall affordability. This project investigates the impact of the Epping-Chatswood rail link in North-west Sydney on home prices, testing out alternative methodologies for estimating price impacts through spatial analysis of historical property sales data obtained from the RP Data Australia. The paper focuses on one station, comparing price trends before and after the construction of the rail link was announced in 2002, and before and after the opening of the rail line in early 2009. The paper concludes with an assessment of the usefulness of alternative methodologies. This paper tests the existence of a backward-bending housing supply relationship in China, and estimates price elasticity of new housing supply for 35 major Chinese cities. Based on the panel data model of 35 cities, it is found that the response of housing supply to price change is relatively insensitive in China, and the supply elasticity has decreased with the rise in housing price. As a result, the remarkable increase in housing prices in China can be at least partly attributed to the inelastic housing supply. The results from this paper may inform Chinese government to take effective measures to reduce the large amount of idle land so as to increase the supply for the housing market. With the booming real estate market, the Chinese TV media launches a professional property TV channel - the Real Estate Channel. The Channel provides not only platforms for promoting real estate information, professional market analysis, housing policies, but also advertisements for developers to sell their real estates. There is an argument as to whether the Property Channel does attract audiences and influence people's purchase decision. This paper aims to analyse the effects of the Real Estate Channel to the real estate Market through a case of Guangzhou, China. A survey is conducted to explore the influences on the Real Estate Channel on peopleâs property purchase activities in Guangzhou. The study is conducted in the following manner: Firstly, the current background of the residential real estate market and the setting and programs of the Real Estate Channel are briefly illustrated. Secondly, mass media theory and literature on media's influences on real estate market are briefly reviewed. Thirdly, the survey design and data collection procedures are described. Audience rating of the Real Estate Channel was also collected for the study. Finally, the effects of Real Estate Channel on the real estate market are analysed. The findings suggest that the Real Estate Channel contributes in providing information on property that influences purchasers' decision. Students can get bored with just learning theory and the 'chalk and talk' delivery method in a classroom. Nowadays it is increasingly a challenge to attract students' learning interest in higher education. This paper explores the development of relevant content and assessment methods for teaching in order to deepen students' engagement in their learning. The paper firstly identifies the learning styles and characteristics of the younger generations through a literature review. A Relevance Teaching Model is then developed. A property course is then used as a case study to discuss the application of the teaching model. The results of a Student Feedback Survey (SFS) are used for evaluating the effectiveness of the teaching model. Finally the research concludes that students learning activities are affected by different teaching methods and the findings suggest that students learn better when the topics are relevant and of interest to them. This implies that students are no longer satisfied to be passive recipients of learning and that they want to be engaged and control their own learning. Improvements in the traditional methods of teaching to incorporate relevant knowledge and provide interactive learning environment to students is recommended. New infrastructure investments alter the locational attributes of nearby land uses, and these changes are often reflected in changes in property value. However, the effects of new amenities may differ based on local characteristics. This paper explores whether urban morphology and urban form differences are associated with differences in the impact that new rail investment has on housing prices. We focus on a single case study - the Macquarie University train station on the new Epping- Chatswood rail link in Sydney. Using Geographic Information Systems (GIS) and geocoded sales data from RP Data Australia, we investigate the impacts of the construction and completion of the rail line on housing prices, using a repeat-sales approach. We identified the urban form characteristics of two precincts within 1.5km of the station, using GIS to compare variables such as building footprints and bulk, dwelling densities, street patterns and intersection density, and tree canopy cover. On-site inspection and photographs enabled us to add assessments of the quality of the pedestrian environment, likely perceptions of safety, and the legibility of pedestrian connections. Statistical analyses of repeat sales in each of the precincts, controlling for dwelling characteristics, resident profiles, and other sales information, enabled us to determine that there were statistically significant associations between the rail line impacts and the urban form attributes of the local precinct. Our study suggests that public transit investment may offer more value-added in neighbourhoods with well developed pedestrian environments. Ge, J 2011, 'Developing a Program Manual for Master Property Courses', Proceedings of 36th Annual Conference for Australasian University Building Educators Association, Australasian Universities Building Educators Association, Institute of Sustainable Development and Architecture, Bond University, Gold Coast, Australia, pp. 114-130. There are increased numbers of sessional staff involved in teaching activities in universities. A Program Director is an academic member who is responsible for teaching and research activities in a university. At the same time, the Program Director has responsibilities to manage staff members and ensure the quality of teaching and students satisfactions on their learning. Exercising leadership with little formal power and limited resource is a challenge for a Program Director where traditional leadership theories may not be appropriate for using. A Program Manual is developed based on a role of Developer, one of the leadership roles in the ICFV model in this study. This paper discusses a need for a Developer role of leadership and illustrates the process which a Program Manual is developed. The study described in this paper contributes to a body of knowledge to inform practice in the area of academic leadership and the application of Developer role of leadership for developing of academic coordinators. Students enrolled in the Master Programs at the School of the Built Environment, University of Technology have vastly different cultural background and come from diverse contexts and experiences. A significant and substantial increased in the number of students in the Master programs over the previous years have raised issues of teaching quality, students satisfaction and administrative problems. Many existing literatures have discussed issues of large class teaching for undergraduate students. This study concerns teaching models of large class for Master students in Australia. The investigation begins with exploring good practices of Master Programs teaching in large class size from NSW universities through CEQ score. Questionnaire is developed and interviews are conducted to the selected participants. Collected data are then analyzed for developing teaching models for the Master Programs. The findings suggest that students satisfaction can be maintained with large classes teaching when large group lectures followed by small group of tutorials, tailored-making teaching methods are used and timely assessment feedback are provided. The Chinese government implemented a new regulation in April 2010 for the purpose of regulating and suppressing real estate speculation and maintaining a healthy and sustainable housing market in the long term. This policy proposes to increase the minimum down payment for purchasing second homes. First-home buyers must deposit a minimum of 30 percent down payment for purchasing properties of over 90 square meters. Buyers of second homes with areas less than 90 square meters must make a minimum of 50 percent down payment, and loans for the purchase of third homes have been temporarily suspended. The impacts and effectiveness of the policy were challenged and argued about by various groups associated with the housing market. This paper studies the results of a survey on the impact of the new regulation. The market performance is then analysed using the case of Guangzhou. Finally, elements that effect house prices and the future direction of house prices will be estimated from the demand for and supply of housing in the marketplace. The study suggests that the new regulation is effective in preventing speculative activities and that house prices in Guangzhou will decrease in the short term. A key global challenge nowadays is to address climate change and reduce greenhouse gas emissions. Climate change is one of the most pressing issues facing Australia today. Improvements to energy and water efficiency of existing building stocks can significantly cut greenhouse gas emissions and reduce utility bills. With increasing recognition that green buildings outperform conventional buildings, much less known about how green building initiatives can be incorporated into upgrading existing housing stocks. In Australia due to population growth and increased in the size of dwellings coupled with the reduction of number of person per household have put an enormous pressue on energy and water consumption. Existing houses represent approximately 98% of residential building stocks and any improvement to these dwellings will have a profound impact on reducing the negative effects of the environment. This paper examines the sustainable upgrading strategies in improving environmental performance of three existing single dwellings. This paper presents an economic analysis of sustainable upgrading using Net Present Value. The results suggest that sustainable upgrading of existing housing stocks is feasible and the scheme will be more attractive if more government financial assistance is provided. Interactions between humans and environments are a part of an everyday process. In the western contemporary architecture, these interactions with the natural and man-made environment called Sustainable or Green Design. In the East, the ancient Chinese knowledge of Feng Shui aims at creating a harmony between environment, buildings and people. It has influenced most traditional building design in China for thousands of years. With a desire to improve the relationship between human and the environment, there is an increasing interest for architects and other building professionals to apply the concepts of Feng Shui into building design and the built environment. It is suggested that interpreting Feng Shui knowledge would embrace the western concept of sustainable design. This paper first analyzes and compares the concepts of sustainable design with Feng Shui. A case study of a well recognized sustainable designed office building in Sydney is used to illustrate the similarities and differences between concepts of sustainable design and Feng Shui in terms of environmental design. Ge, J 2009, 'An Alternative Financing Method for Affordable Housing', The 4th Australiasian 2009 Housing Researchers Conference, Australasian Housing Researchers Conference, AHRC-APNHR, Sydney, Australia, pp. 1-7. Falling house prices together with interest rates at a 45-year low of about 5.74 per cent have improved housing affordability in Australia. Australian government policies provide a First Home Owner Grant up to $24,000 (in the NSW for a newly constructed home) has also made a significant positive impact on mortgage stress. However, Australian house prices are still severely and seriously unaffordable for many and are among the highest in the world. Without government support, many households are not able to achieve homeownership. This paper provides an alternative financing model, i.e., the use of superannuation funds to help the low-moderate income households improving their ability to access the market. The analysis suggests that the use of super funds to support down payments and monthly mortgages will shorten the time to gain homeownership and increase affordability by 60% for low-moderate income families. The study is organised in the following sequence: First, a brief review of the literature on housing affordability and government housing policies; second, description of a financing method through super funds by scenario analysis and of its benefits; final, issues of the proposed model are discussed leading to a conclusion. The Australian Government has recently announced a Renewable Energy Target (RET) scheme to provide up front payments of $8,000 for around 25,250 households of income less than $100,000 per year installing a 150 watt solar panel system starting on 01 July 2009 using $202 million taxpayers money. The scheme has not included households income greater than $100,000, nor for developers who produce new houses. Whether the policies are effective and sustainable are arguable. This paper examines policies designed to encourage households to install solar panel system in Australia and demonstrates reasons for supporting developers to build green houses using Net Present Value (NPV) rule in a case study. The findings suggest that the government should support installation of solar systems in both households and the developers. In 2009, the Australian government has formulated strategies to provide $3.9 billion Energy Efficient Home Package for cutting energy waster and $12.9 billion Water for the Future plan for reducing the use of drinking water, aim of tackling climate change and reducing green house emission. Under the strategies, there are incentive schemes for households of the existing homes, which include a) rebates of up to $500 for installing a new rainwater tank or a permanent grey water treatment system; b) offers of up to $1,600 ceiling insulation or installation of solar hot water system or an assistance of up to $1,000 installing insulation in private rental properties; c) cash rebates of up to $8,000 for the installation of solar photovoltaic systems on homes; and d) providing detailed, quality household sustainability assessments and green renovations packs to Australian households as well as access to low interest Green Loans of up to $10,000 each to make existing homes more energy and water efficient. This paper studies whether the incentive schemes motivate households and how much attraction of the schemes for households. The paper starts to review government policies for home energy efficient and water reduction programs in Australia and compare schemes provided by other countries. Case studies on incomes and expenses for a standard family, costs and benefits, as well as elements impact on households of taking the government incentive schemes are examined. The paper comments on the current incentive programs provided by the government and argue that education on attitude toward saving electricity and water should be one of the important parts of the programs. Climate change is one of the most pressing issues facing Australia today. This is a challenge and responsibility that is shared by all Australian households. Improvements to energy and water efficiency of houses can significantly cut greenhouse gas emissions and reduce utility bills. In July 2004 the New South Wales (NSW) government introduced the Building Sustainability Index (BASIX) to assess potential performance of a dwelling against a set of pre-determined criteria. Housing construction in NSW is the first in Australia to be subjected to mandatory sustainability requirements. BASIX is an online assessment tool which sets scores required to obtain development approval in new residential projects. BASIX is mandated only to improve environmental performance of new residential buildings and does not attempt to improve environmental performance of existing housing stocks which continue to consume natural resources and pollute the environment. Existing houses represent approximately 98% of residential building stocks in NSW and any improvement to these dwellings will have a profound impact on reducing the negative effects of the environment. This paper examines the sustainable upgrading strategies in improving environmental performance of three existing single dwellings in meeting the minimum BASIX requirements. This paper presents an economic analysis of sustainable upgrading using Net Present Value. The results suggest that sustainable upgrading of existing housing stocks is feasible and the scheme will be more attractive if the payback period is reduced with further government financial assistance. Ge, J & Huang, H 2009, 'Analyzing Chinese Real Estate Websites and Improvement', Proceedings of China Real Estate Research Conference, China Real Estate Research Conference, Zhong Shan University, Guangzhou, China, pp. 815-815. Internet has gradually become popular as one of important channels in real estate market communication for Chinese family searching and purchasing their Home or investment property. A well designed real estate website is required not only with advanced technology and visual features, but also with logical design and User friendly to meet a habit of users. This research introduces a concept of User-Centered Design to the design of Chinese real estate website, aims to provide overall view of real estate websites in China and concludes recommendations for further improvements. The study is conducted in the following manner: Firstly, literatures on Chinese culture background, traditional notions, purchase behaviour and habits that determine the basic foundation and ideas for designing website are reviewed. Secondly, the current main real estate websites in China, in specifically, features, functions, design and user operation are examined. Thirdly, some samples of international real estate websites in Australia, UK and US are also studied. Fourthly, the analytical results from both Chinese and international real estate websites are compared and contrasted for generating recommendations of improving designs of Chinese real estate website. The findings suggest that there is a room for improving current design of real estate website in China. An effective real estate website may be designed in such way that reflects the Chinese unique character and user habits. Rapid movements of house prices bring concerns about affordability when house prices go up and of crisis when they fall below their trend value. This paper reviews house prices which have the potential to deviate significant from market fundamentals in the short term, especially when supply is rigid. The paper then establishes a house price trigger model under the assumption of supply rigidity in order to explain fluctuations in house prices. The model is tested by on time series data from Hong Kong and explains that the changes of quantity demand, the level of increase and decrease in the market place, are triggers that induce fluctuations in house prices. The behaviour of developers, investors and consumers in the property market and the housing market of mainland China is also analysed using the concepts developed. Property developers have been reported as 'shunning Auckland's inner city marketâ in 2007 reducing their investments from around 2000 units (worth $600 million) in 2006 to around 150 units (worth $45 million) in 2008 (Gibson, 2007). The sale activities of apartments in the Auckland city central have dropped significantly in the first quarter of 2008 compared to the similar period last year. In spite of this however, there are new apartments under constructing or on the drawing board. The Reserve Bank of New Zealand (RBNZ) has raised its benchmark interest rate four times between March and July 2007 to 8.25, and is still under pressure to increase this further. What then is the trend of apartment prices in Auckland central city and whether apartments are worthy of investment in the near future? In order to answer these questions, this paper aims at studying the main determinants for the demand of apartments in the near future using the statistical method, analysing collected sales data. A total of 4,460 validated sale transactions of inner-city apartments in Auckland have been analysed in this study. A key finding of the study is that the number of international students and the net migration of residents are two factors that have an immediate impact on the sales of apartment in the Aucklandâs inner city. The main demand for apartments, especially those with an internal floor area of less than 50 square meters, are from the international students who would mainly rent the apartments, fuelling investor demands in turn. A consistent policy for overseas students to accommodate demand for apartments is thus an important ingredient in stabilising prices of apartment in Auckland. Ge, J 2008, 'Curriculum design of real estate subjects in higher education using problem-based learning to encourage positive learning activities', The UTS teaching and Learning Forum, University of Technology, Sydney. Real estate markets play important roles in the economy nowadays. Designing curriculum for real estate subjects is a challenge as real estate markets are complicated systems that integrate political, economic, financial, environmental, scientific, managerial, technological, cultural and, human behaviour- at both the theoretical and practical level. A well structured curriculum requires not only meeting the learning outcomes, but also aligning with graduate attributes, as well as encouraging studentsâ positive learning activities. This paper describes a study of integrating problem-based learning into the curriculum design for teaching real estate subjects in higher education. Housing at an affordable price is a dream for many low to moderate income families as the standard variable mortgage rates on mortgage loans have been pushed to above 9 percent (February 2008) - the highest since late 1996 - and the Reserve Bank of Australia is expected to increase the cash rate again in the near future. The higher the mortgage rates the more difficult it is for low to moderate income families to gain access to home ownership, or even to keep their current homes. There are many suggested solutions to improve housing affordability for low to moderate income families, such as land planning and government assistance. This paper, however, introduces an alternative model improving housing affordability, i.e., the government, private firms (developers/investors) and the low to moderate income families working together in a model that will help these families to improve their ability to rent or access home ownership. The study is organised in the following sequence: Firstly, a review of the literature on housing affordability to compare benefits and disadvantages of policies; secondly, a proposal for a conceptual model describing the roles of each party and demonstrating how, working together, they can achieve a solution. Finally benefits and risks of the participants are analysed leading to a conclusion. Property market performances have great impact on the economy as a whole. Property research is one of the disciplines of scientific research that provide significant information for decision-makers. However, scientific research requires quality data. Quality data plays a vital role in providing reliable and valid information for property market performance. This paper discusses the state of property data in terms of both quality and availability. A possible solution is made concerning the current lack of adequate availability of quality historical datasets for property researcher. This paper aims to explore the main attributes influencing the prices people pay for housing in order to get a better understanding of consumer preferences and market needs. A survey was undertaken in the Papatoetoe area of Manukau City in New Zealand. A total of 53 valid questionnaires were received out of 150 questionnaires distributed. The analysis results suggest that location, house price and social factors are core factors influencing house purchase behavior. Ge, J & Du, Y 2007, 'Main Variables Influencing Residential Property Values Using the Entropy Method - the Case of Auckland', The 12th Asian Real Estate Society (AsRES) Annual Conference and The 2007 AREUEA International Conference, The 12th Asian Real Estate Society (AsRES) Annual Conference and The 2007 AREUEA International Conference, Asian Real Estate Society, Macau, China, pp. 1-22. Property value is an essential aspect of property markets world wide. They are determined by a variety of factors and determining those factors is a significant part of valuing properties. The Entropy method is one of the ranking approaches used for property valuation. The benefits of the entropy method include that it requires less information than do other methods (Chan et al. 1999). This paper investigates the main variables that influence residential property values in the Auckland property market and ranks the variables using the Entropy method. The paper starts by reviewing the literature and identifies the possible determinants for residential property value. Secondly, a total of 6791 data sets were collected from the Auckland property market and reasonable assumption made to quantify the data. The application of entropy based on weight of importance, and the priority ranking is than obtained. It is found that number of Bedrooms, CPI, land area, and location are the most significant variables contributing to property values. The paper starts by reviewing literature on housing prices including both price determinants and research methodology. Data published by the Hong Kong Government is used for the study. The housing price variables are grouped together as macro economic factors, demographic factors, housing related factors and housing supply factors. The 2-state least Square (2SLS) method of regression analysis is used in order to reduce the bi-direction effects between dependent and independent variables. Results show that economic conditions are the most important external influencers of housing prices. The model developed can be used to predict the trend of housing prices. This paper develops a cusp model of housing prices for Hong Kong. This study develops a dynamic model for analyzing residential housing market behavior both in the long and short-term perspective. In the long-term model, the dynamic effects of changes in aggregate housing demand and supply are described. In the short-term model, the impacts of demand and supply shocks on the housing prices, resulting in rapid changes in housing prices are illustrated. This model is consistent with traditional housing economic theory. The differences re that it can demonstrate three-dimensional movement and a discontinuous change in housing prices. Property values are affected by various factors. It is difficult to determine which attributes contribute more than others. This paper applies Entropy method to find out which attributes affect property values more significantly in the Hong Kong residential housing market. The priority of the possible attributes of property values are ranked by weight. This study starts with a review of the basic theory of Entropy and followed by the mathematical algorithm. Next section develops a procedure for the empirical studies. Firstly, data collections and quantification are explained. Secondly, the data scaling is described and followed by ranking the results. Reasonable assumptions are made to quantify the data and the degrees of importance of the attributes are identified. Finally, the three groups of ranked attributes are tested by the artificial neural network (ANN) models. The results suggest that the priority of the ranked attributes is significant and effective. Ge, J, Leung, AY & Xu, J 2005, 'Analysis of Dynamical Impacts of Interest Rate on Expected Housing Price', Proceedings of 21st Annual Conference of Association of Researchers in Construction Management (ARCOM), Association of Researchers in Construction Management Annual Conference, ARCOM 2005, London, UK, pp. 645-654. The first interest rate hike in China during the last decade aiming to cool the seemly overheated real estate market arouses debate on whether financial policy is indeed effective for housing price adjustment. Different real estate markets have different scenarios during a sudden change (shock) of interest rate A cobweb model is built to analyze the after-shock oscillations. Consideration includes the heterogeneous expectations of agents, supply lag and deprecation rate. In particular, user cost demand model and stock-flow supply model are used. The results show that the dynamics of the expected housing price varies substantially with these factors. Financial policies should be chosen carefully in consistence with each unique real estate market, since some portfolio parameters can increase or suppress the price oscillations. The paper studies the heritage buildings in Hong Kong and appeals to protect the culture heritage. This paper applies cobweb model with bi-adaptive expectations to analyze real estate market in China. Hong Kong's residential property market has experienced significant changes over the last two decades. It is an interesting challenge for modeling the volatility of property prices. The aim of the study is to build forecasting models for forecasting the private residential property prices using macro data in Hong Kong. Both artificial neural network approach and multiple regression analysis are employed for comparing the forecasting results. Variables such as lagged property prices, household income and transaction volume are derived to test the models. The results show that both methods are valid and that the artificial neural network demonstrates a good prediction power with low forecasting error. Ge, J, Runeson, G & Leung, AY 2004, 'Prediction of Catastrophic Housing Price', 19th Earoph World Planning and Housing Congress and Australian National Housing Conference 2004, 19th Earoph World Planning and Housing Congress and Australian National Housing Conference 2004, Earoph, Melbourne, Australia, pp. 34-34. In Hong Kong, private housing prices have experienced enormous increases during the 90s and a large decline since 1997. The irregular fluctuation of housing prices exhibit complicated nonlinear characteristics. Traditional methodology may not be able to provide an explanation or predict phenomena such as catastrophic housing price. This gives rise to the necessary application of theoretic research in the property market to employ theories from nonlinear science. The aim of the study is to explore a dynamic model of housing prices, i.e. a cusp catastrophic model for the Hong Kong housing market. Catastrophe examines and classifies phenomenon characterized by sudden shifts in behavior arising from small changes in circumstances. This study takes microeconomic and cobweb theory as subjects and applies cusp type catastrophe to explore nonlinear dynamic features in the housing price system. An equation to diagnose the discontinuous housing price is developed. The equation is tested through an empirical analysis using historical data in Hong Kong. It is recommended that the catastrophic housing price may be avoided by maintaining an adequate ratio of vacant units and total housing supply. The traditional multiple regression analysis is widely acknowledged as a reliable technique and acceptable forecasting performance. This study examines the role of population growth, household income, and transaction volume in determining residential housing prices. A causal model is developed for Hong Kong using quarterly aggregated economic variables for the period of 1980:1 to 2000:3. In order to assess the adequacy of the multiple regression analysis to housing prices forecasting, the model is evaluated on its predictive accuracy on out-of-sample forecasts for the period of 2000:4 to 2002:4. It is found that the housing prices behavior of the current period is affected by the events of previous periods. The results also show that the causal model has a good predictive power and can explain the causal relationships between variables. Ge, J 2003, 'Forecasting Hong Kong housing prices: an artificial neural network approach', International Conference "Methodologies in Housing Research", International Conference of Methodologies in Housing Research, Royal Institute of Technology, Stockholm, Sweden. There is a predominant use of multiple regression models in current housing price modeling and forecasting. One of the problems with the regression method is that it relies on functional assumptions to ascribe a form to fit the relationships of the variables. The Artificial Neural Network (ANN) technique is a method designed to capture functional forms automatically, allowing the uncovering of hidden nonlinear relationships between the modeling variables. This study employs the ANN technique to build a model for predicting private residential property prices in Hong Kong using quarterly aggregated economic variables. Results show that an ANN method has an advantage in its ability to map complicated non-linear relationship between variables and has a good predict power. However, the âblack-boxâ characteristic of the ANN is a main limitation as it lacks explanatory capabilities. Runeson, G, Ge, J & Lam, KC 2003, 'A Causal Model of Residential Housing Prices in Hong Kong', 2003 International Conference on Construction & Real Estate Management, International Conference on Construction and Real Estate Management, Hong Kong Polytechnic University, Harbin, China, pp. 99-101. Modeling the volatility of property prices presents an interesting challenge for researchers. The purpose of the study is to compare an artificial neural network approach and log-linear regression model for predicting private residential property prices in Hong Kong using aggregate variables such real housing prices, real income, interest rate, demographic variables, and so on. The results show that the log-linear regression approach has less the standard error in forecasting. However, an artificial neural network (ANN) has an advantage in its ability to map complicated non-linear relationship between variables and it also has a good predict power. Ge, J, Ding, GK, Phillips, P & Jia, S, 'Heritage and sustainability: Modelling environmental performance of historic buildings in Xiao He Zhi Jie', DAB LAB Research Gallery: Heritage and sustainability, DAB LAB research gallery. Traditional Chinese housing, like vernacular housing everywhere, is under threat. Much has already been demolished for urban renewal. There are claims that these houses are old fashioned and need too much maintenance, and in these energy conscious times demolition is also being justified on the grounds of environmental inefficiency. This project measures the environmental performance of six selected houses in the historic Xiao He Zhi Jie (Little River Street) in Hangzhou, and a modern residence in the vicinity as a control. The results of this research has been on exhibition at the DAB LAB research gallery. This research was funded by the Australia-China Council, and was conducted with the assistance of Zhejiang University in Hangzhou. Ge, J & Lam, KC 2002, 'Development of a Web-Based Virtual Soil Laboratory for Triaxial Test (UU, CU, DC Methods)', City University of Hong Kong, Hong Kong. This CD is produced as a part of outcomes from the Project "Development of a Web-Based Virtual Soil Laboratory for Triaxial Test (UU, CU, DC Methods)", funded by Quality Enhancement Fund, City University of Hong Kong. This CD provides student a simulation program to conduct Triaxial Test at anywhere and anytime. Ge, J & Lam, KC 2001, 'A Web-Based Virtual Soil Laboratory', City University of Hong Kong, Hong Kong. This is a simulation software produced for student conducting soil tests at anywhere anytime. The project was funded by the Quality Enhancement Fund by City University of Hong Kong.